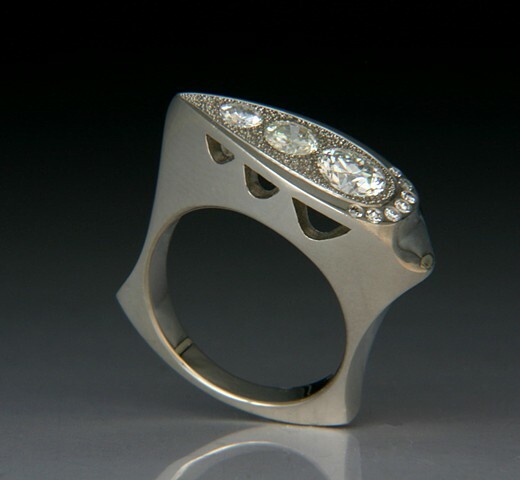 Custom ring made of 14kt Palladium white gold. This ring was created using the customer own diamonds from family jewelry. I love recreating old jewelry into new heirloom jewelry. Please contact me if you are interested in a custom ring.